Taking an annual vacation is important. Excessive work hours and days lead to burnout, reduced employee engagement, higher absenteeism, lower production, and higher costs. A 2016 Harvard Business Review article notes that employees who took more than 10 vacation days per year were almost twice as likely to receive a raise or bonus within three years. Yet despite the benefits, nearly one-half of Americans did not take a vacation in 2017, often citing the high cost of travel as the primary reason. Recognizing the need for an affordable vacation, managers of many destination resorts have added an “all-inclusive” option to their offerings, allowing visitors to pay a single price for a room, meals, and other amenities while at the resort. Are these packages really a good deal? Here’s a closer look. Cruise ships have long offered all-inclusive options. Cruise travelers can choose the size and location of their cabin and meal options to fit their budgets and pay a single fare for accommodations, meals, and access to the ship’s physical, cultural, and entertainment offerings. It’s no doubt one of the reasons cruise ship vacations are“the fastest growing part of the vacation industry,” according to PR Newswire. 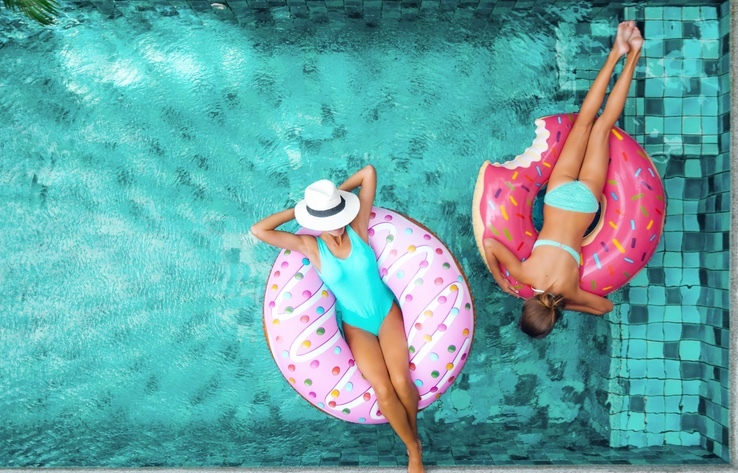 Resorts are following suit, increasingly using an all-inclusive price strategy, hoping that its simplicity and convenience will boost their sales. For years, resorts predominately offered a-la-carte pricing — what many call a “European Plan” — in which rooms, meals, and recreation activities were separately available at the option of the guests. The first step to a single basic rate for everything was the introduction of the “American Plan,” which combined room and meals but did not include recreational activities or entertainment. Club Med pioneered one flat price for everything in 1950 with the opening of its first resort at Palinuro, Salerno Italy. Designed to appeal to young people, guests stayed in straw huts on the beach, sharing communal meals and showers. In the 1990s, the company upgraded their offerings in meals and recreational activities, especially for families. For example, children could attend a circus school run by Cirque de Soleil or take snow skiing lessons from a professional ski instructor while their parents relaxed in a luxurious spa. The company continues to offer all-inclusive prices, albeit at significantly higher rates. The success of Club Med and similar resorts encouraged the use of all-inclusive pricing by other vacation properties. By the mid-2000s, most luxury resorts had embraced a single-price option for guests. For one price, guests could stay in high-end facilities that included state-of-the-art spas, award-winning food, alcohol, and luxurious rooms with ocean views. At the end of 2016, U.S. News & World Reports estimates, there were at least 300 all-inclusive resorts in the Caribbean and Mexico with facilities ranging from modest to high-end. Some (such as Sandals) cater to an adult crowd, while others (such as Viva Wyndham) focus on families.